Those who suffer from migraine will know too well that it is much more than just a headache. It can strike anywhere and any time, often without warning. Migraine affects about 15 in every 100 people in the UK and is most common in adults aged between 20 and 50. Women are twice as likely to suffer from the condition as men. Migraine is a complex entity, usually characterized by unilateral head pain of a pulsating or throbbing quality. Clinically, migraine is subdivided into five phases: prodrome, aura, headache phase, headache resolution and postdrome. The prodrome is experienced by about 60% of migraine sufferers and is characterized by mood changes, food cravings, increased or decreased appetite, nausea, numbness and tingling, an inability or difficulty to speak and clumsiness/weakness of one side of the body. This is followed by an aura phase, experienced by about 20% of migraine sufferers, typically characterized by bright dots of lights in the visual field and saw tooth crescents of light. Following the aura phase, the headache begins, lasting anywhere between 4-72 hours. The headache is then followed by the postdromal phase, which is characterized by fatigue, irritability, mood changes and food intolerance. Dysfunction of the cervical spine can be related to pain in the head /migraine, via the trigeminocervical complex (figure 1). 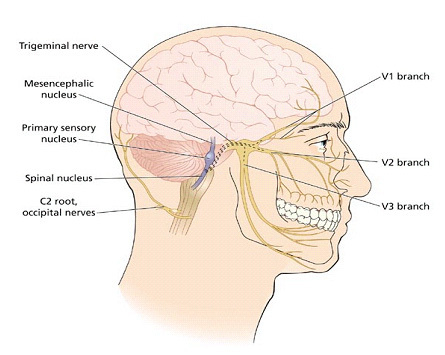 In simplified terms this involves convergence of the greater occipital nerve (second cervical nerve, C2), with the trigeminal nerve (cranial nerve, V1) as it conveys pain sensation from the periphery towards the brain. This convergence can result in the brain interpreting pain as if it were originating in the head, when actually it may be originating in the joints of the cervical spine, thus resulting in a headache. Chiropractic care may reduce the severity and frequency of migraine headaches, particularly in those patients with a cervicogenic/neck component to their migraine. Furthermore, the amount of medication required by migraine sufferers is often reduced during and following care. Some patients even report their migraines stop altogether! This can have a profound effect on people’s lives. Frequent migraines can be debilitating and can render a person unable to work, unwilling to socialise or even to get out of bed. 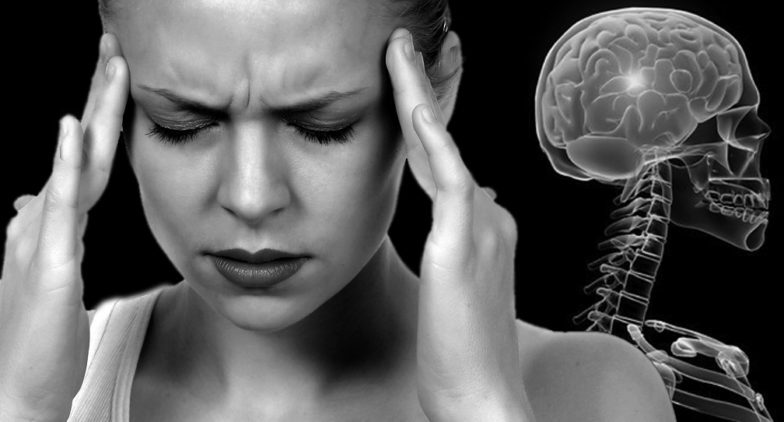 Many patients find relief of migraines through chiropracticare. Please don’t suffer! 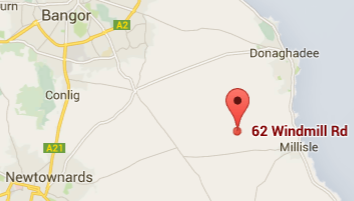 If you would like to arrange a consultation, please call one of our clinics to make an appointment.